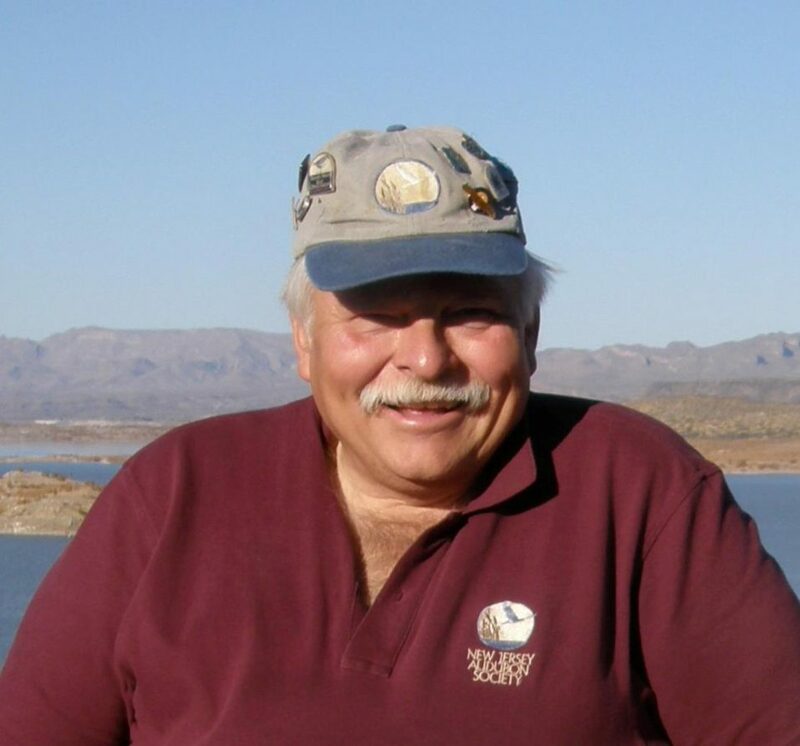 Bill Haines, Jr. owner and CEO of Pine Island Cranberry Company (PICC) of Chatsworth, NJ was the recipient of New Jersey’s first ever National Bobwhite Conservation Initiative’s (NBCI) National Fire Bird Conservation Award. The award, presented at the NJ Fish and Game Council Meeting by James Sloan, New Jersey Division of Fish and Wildlife (NJDFW) Upland Habitat/Game Biologist and NJ Coordinator of NBCI, recognizes entities and/or an individual’s contributions to that state’s efforts toward habitat-based restoration of wild bobwhite. 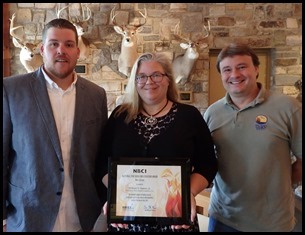 According to NBCI, the award’s name, “Fire Bird”, symbolizes the historic reliance of Bobwhites on fire in much of its range to maintain the landscape in an “early successional” stage, that is, in the native grasses, wildflowers and young forest providing bobwhites with suitable habitat. The term “Fire Bird” in relation to Bobwhites was first coined by naturalist Herbert Stoddard, who researched bobwhites and worked to restore bobwhite habitat in the early 20th Century. “PICC’s landscape characteristics, achieved by meticulously performing the conservation practices and prescriptions in their NJDEP approved Forest Stewardship Plan, are a natural match for the Bobwhite. 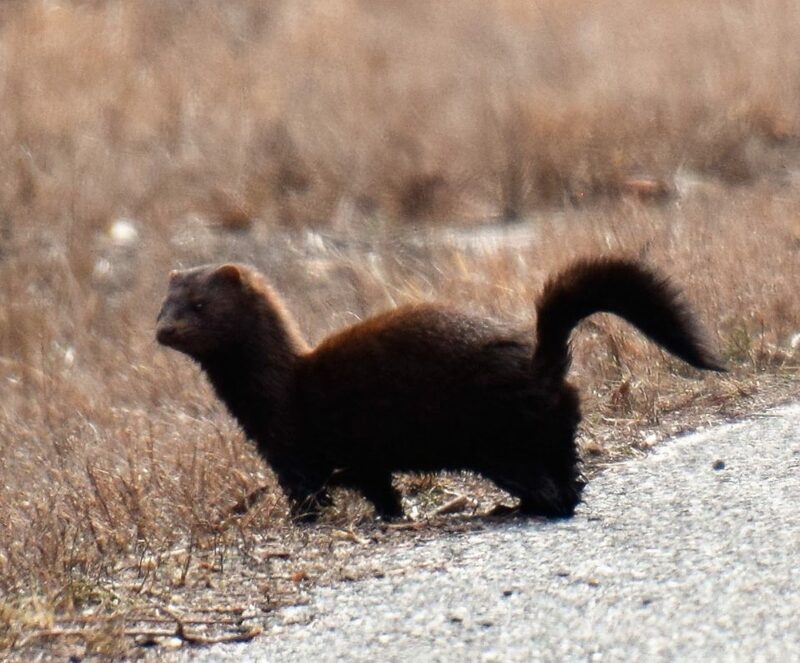 The actions that Bill Haines Jr. and the PICC have taken will continue to create and enhance high quality habitat for the species in the years ahead as plan implementation progresses,” said John Parke, NJ Audubon Stewardship Project Director. “NJ Audubon congratulates Bill Haines, Jr and the staff at Pine Island Cranberry Company, on receiving this well-deserved award and commends PICC and PICC’s forester Bob Williams of Pine Creek Forestry, for their efforts to establish quality habitat for quail and other species, while also helping to address forest health issues such as fuel load reduction, control of forest diseases and pests, and ultimately successful regeneration and forest function,” Parke added. Beginning in 2015, PICC, along with project partners NJ Audubon, Tall Timbers Research Station and Land Conservancy, NJ Division of Fish and Wildlife, the University of Delaware and Pine Creek Forestry conducted the first release of wild Northern Bobwhite translocated from Georgia to the PICC study site. To date, a total of 240 wild birds have been released and radio tracked via telemetry at the PICC site. 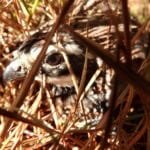 This has resulted in 39 nests (1st confirmed nesting of wild Northern Bobwhite in the Pinelands since the 1980s), and 117 confirmed chicks. The project also demonstrated that translocated quail can over-winter from year to year. Additionally, researchers documented double-clutching nesting, where the male bird incubates while the female goes on to lay a second nest. These successes reflect the quality of habitat on the PICC site brought about through thoughtful and active land management and stewardship. By performing active management on the land, a balance of different cover types for nesting, brood rearing, and foraging were created, allowing for the translocated Bobwhite to take advantage of their naturally high reproductive potential. “We are honored to receive this recognition, but it is an even greater honor to participate in the project with partners like NJ Audubon, the University of Delaware, Tall Timbers, and the NJ Division of Fish and Wildlife,” said Stefanie Haines of Pine Island Cranberry, receiving the award on behalf of her father. “We are proud that our stewardship practices benefit not only our business and our home, but the wildlife which surrounds us as well,” added Haines.